And if you do go bungee jumping, please just wear undergarments. For modesty's sake. First off, you'll probably notice a running theme here: (almost) all of the tequilas listed here are blanco (or "silver," so basically "clear"). That's because this more mellow counterpart simply goes better inside margaritas than darker tequilas. 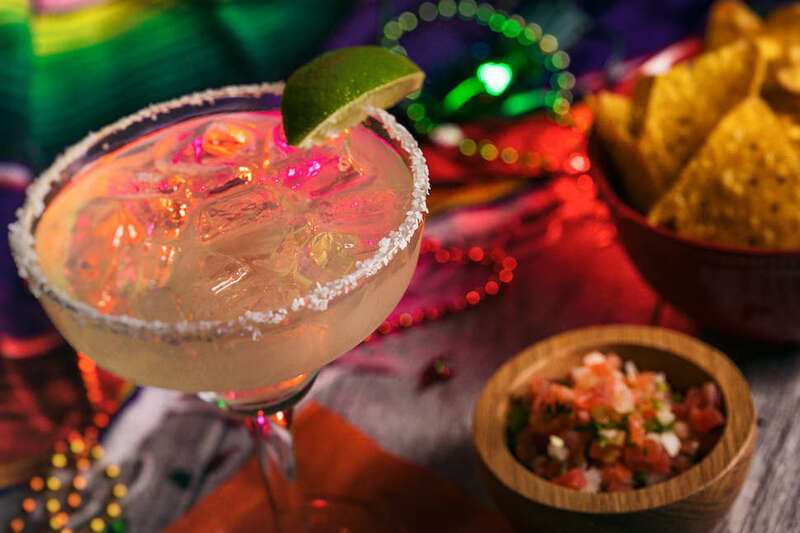 They generally don't overwhelm the other components of the margarita -- and in many cases, the darker liquor is best-suited solo, to experience the bolder flavors in an unfiltered setting. Which brings us to Patrón Silver, which is basically the gold standard of tequila to mix with margs (despite being silver). You'll get notes of fruit and agave. You'll get a taste that goes down smooth. And most importantly, you'll get a liquor you know will reliably pair with almost any margarita mix. This is the true crowd-pleaser. Herradura -- like Patrón -- is very well known, fairly pricey, and an extremely safe bet to pair with margarita mix. Their blanco tequila is certainly rich and full enough to drink alone, on the rocks, but paired with triple sec and lime, the liquor's characteristic citrus, red pepper, and mint flavors are able to be tasted, but shouldn't overwhelm the rest of the drink. If you want a safe bet, but don't want Patrón, you might want to opt for Herradura. Casa Noble Crystal is what you want if you want your margarita to taste a little... different. Don't worry! Sometimes different is good! The triple-distilled liquor touts itself as well-balanced and "smoother than glass." When mixed, the super savory, honey notes can definitely cut through the margarita's citrus, making the whole drink just seem a little more complex than a simple margarita. This might be a good one if you want your friends to consider you to be master mixologist... but when in reality all you have is a bottle of tequila, triple sec, and lime. No, we didn't include Casamigos Blanco just to show a picture of George Clooney, one of the founding partners of the (now) massively successful tequila brand. While it is always nice to sneak a picture of the Cloonester into an article, we also have to give Casamigos credit as being one of the fastest growing liquor companies in the entire world. Business and celebrity involvement aside, this tequila prides itself on being something you can drink straight, without any frills. But that doesn't mean adding it to a margarita is a bad idea, per se. In fact, Casamigos, like Casa Noble, can definitely add a bit of complexity and quality to your simple cocktail. Think of it as LeBron James, carrying the rest of the team on his back. Or Clooney, carrying the cast of ER on his back. Same difference. This tequila with the surprisingly badass label is slightly cheaper than some of the others on this list -- so it could be a good option if you want to mix margaritas on a budget. But, the quality of the spirit is not indicative of the price, and the taste is surprisingly complex. You have a little bit of vanilla. Some notes of spicy pepper and sweet fruit. And an incredibly silky finish that rounds every sip out nicely. These all shine through when paired with a margarita. It's decidedly not a bad time. OK! This is tequila on a budget. You can probably pick up a bottle for less than $20, no matter where you are. That being said, the spirit itself does not have that horrible, burn-y, "oh God, what have I done," taste that so many cheaper spirits -- especially tequila -- pack. Pueblo Viejo definitely has more of a bite, and their citrus flavor seems to be a little bit sharper, but it is certainly an acceptable tequila to pair with a margarita. Especially if you are making a ton. And double-especially if most of the people drinking them won't really care or notice anyway. Another standard, extremely popular tequila brand that drinkers will know and recognize, 1800 is known almost exclusively for its smooth-as-a-baby-seal's-bottom taste. While notes of citrus and pepper can definitely shine through the mixed drink for experienced palates, the real plus here is how seamlessly the liquor gels with the margarita mix. The liquor is complex-yet-smooth, and is always refreshingly bright. This is a pretty safe bet. It's hard to mess 1800 up, in almost any cocktail. Welcome to the wildcard! El Buho is not actually tequila, but the spirit's saucy, smokey, increasingly popular cousin: mezcal. Now, some purists might decry the use of mezcal in a margarita... but as we all know, some purists are too snobby for their own good. El Buho is (relatively) inexpensive, and an excellent "beginner" mezcal in general. Adding this in lieu of regular tequila to your margarita will definitely be noticeable as the spirit's trademark smokiness will certainly shine through. But you'll never know if you like it, if you never try. And the very worst, you'll still have like, half a bottle of quality mezcal to sip on.